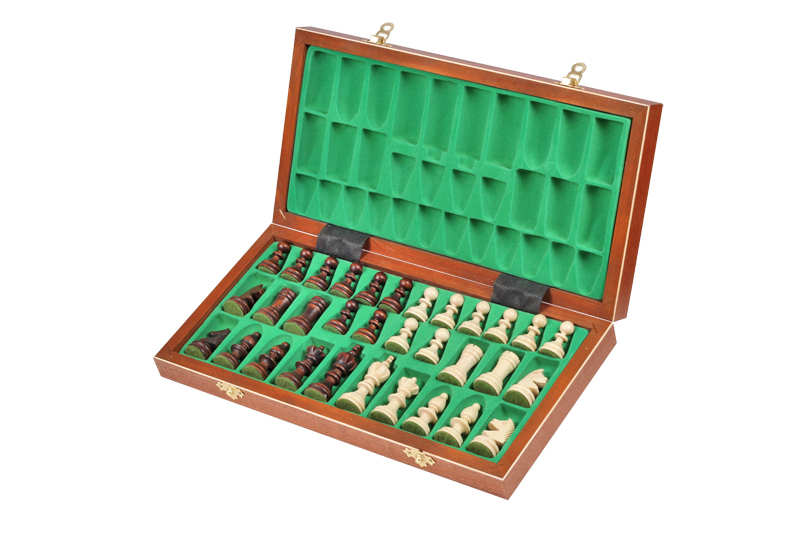 This is another version of the Small Olympic set. 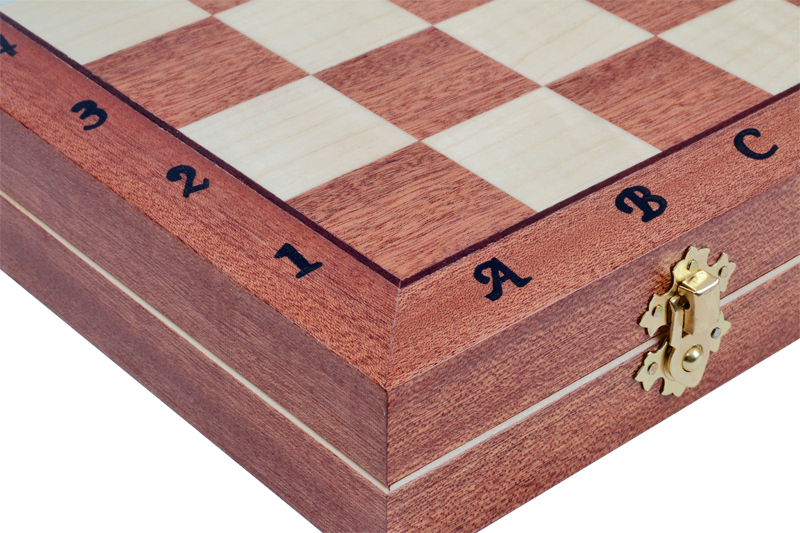 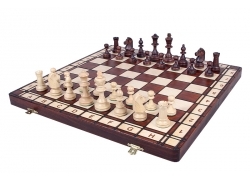 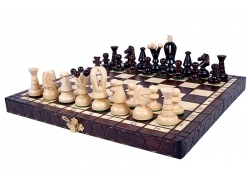 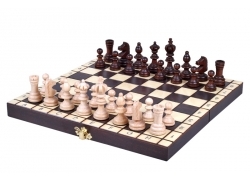 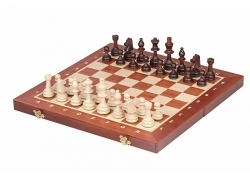 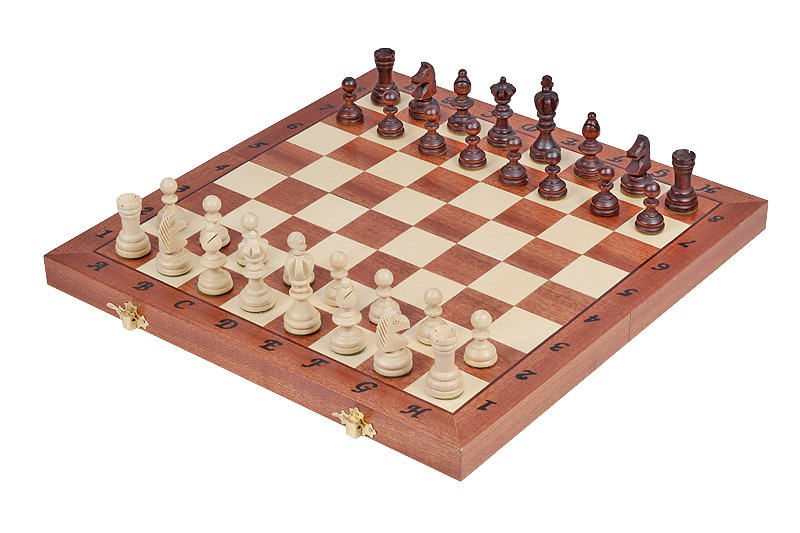 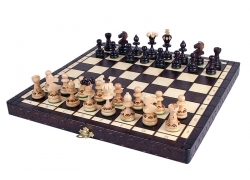 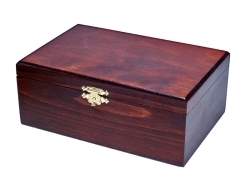 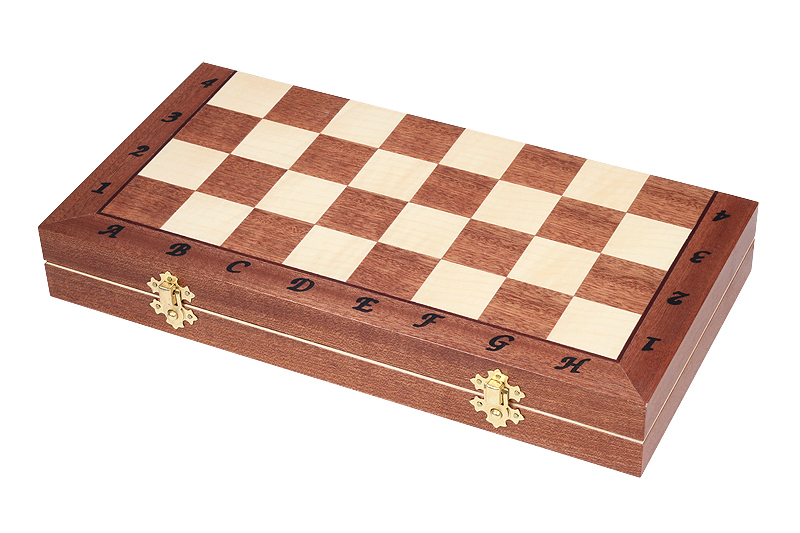 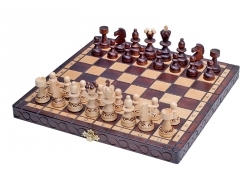 It goes with a lovely folding chess board inlaid with mahogany and sycamore wood. 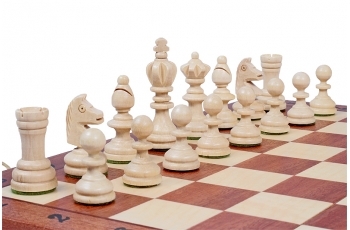 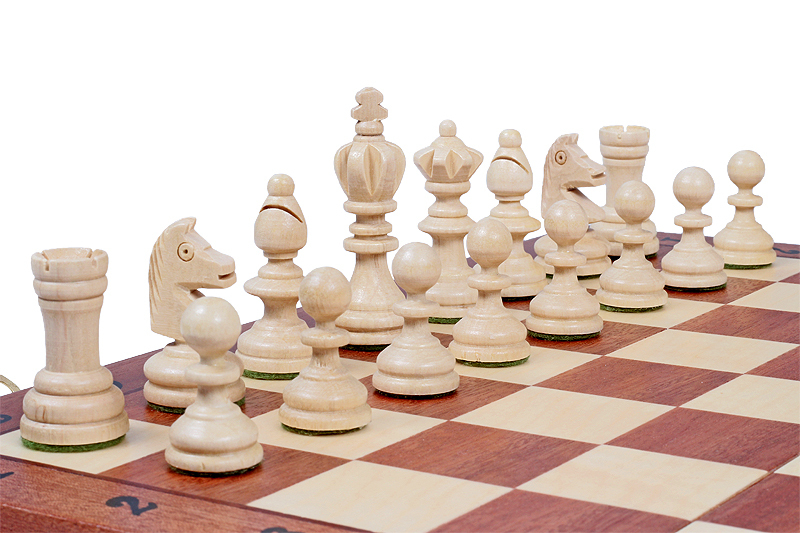 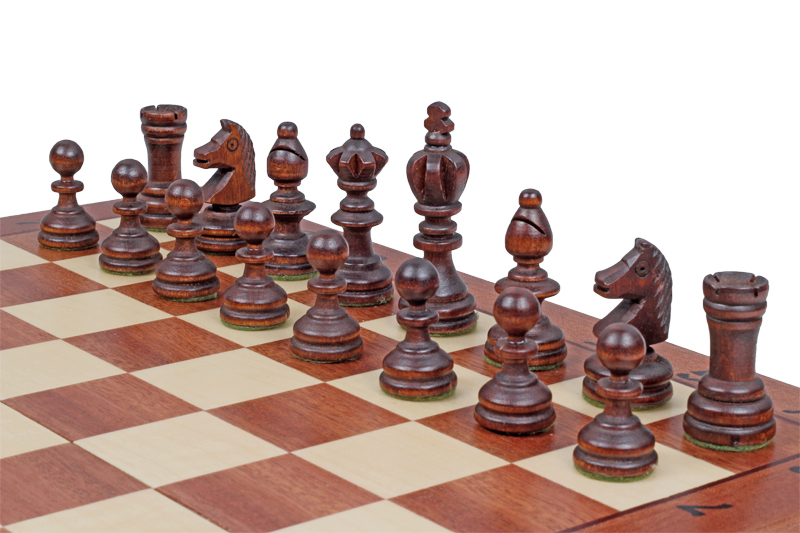 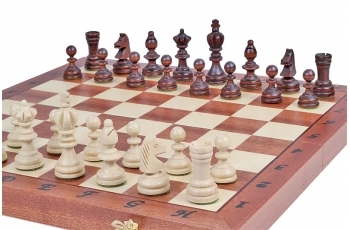 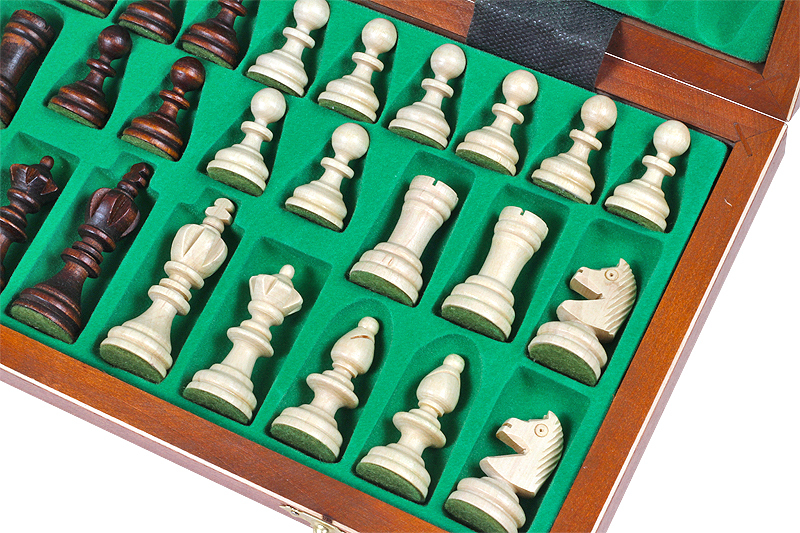 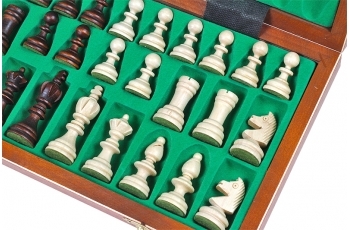 The chess pieces are hand-crafted and made from hornbeam and beech wood. 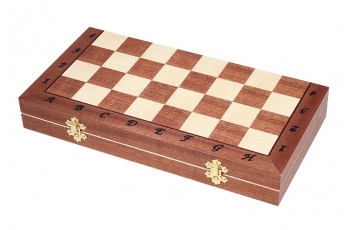 The burned chessboard has an insert tray for the chess pieces storage inside. 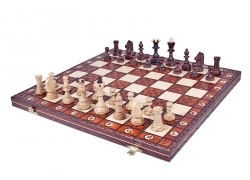 This set is available in brown colour only.